Competent adults have the right to make all decisions about their own medical care. You have the right to make informed decisions. This means that you have the right to know what your diagnosis is, what your prognosis is, and what the risks and benefits of any specific course of treatment are. You can make all decisions about the provision, withholding, or withdrawal of any specific medical treatment or any course of treatment. This means that you have the right to choose to have a type of medical treatment that is different than your doctor recommends, or to refuse treatment even if the doctor says you will become sicker or die without the treatment. The decision to refuse medical treatment is not the same as suicide even if the result of the decision will or may be death. The right to choose withdrawal of treatment includes decisions such as removing feeding tubes or ventilators. Is able to communicate a decision. The ability to communicate a decision is broader than the ability to talk. Someone who is able to write, or only to indicate "yes" or "no" to questions, is able to communicate a decision. The medical treatment is of an "emergency medical nature,"
This means that unless these conditions exist, the patient is the only person who can give consent (or refuse consent) for medical care if the patient is able to make the decision. 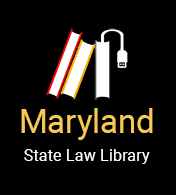 If the patient is not able to make the decision, Maryland law provides for decisions to be made according to the patient's written or oral living will, by an agent the patient selected, or by a "surrogate" (usually a family member). If there is no other way to make the decisions, a court can appoint a guardian to make the decisions. The treatment that can be given as emergency treatment is limited to what is necessary to remove the immediate emergency. If there is no advance directive in which an agent has been appointed, a "surrogate decision maker" as defined in the law can make decisions according to the duty the law gives the surrogate. The decision may NOT be based on any preexisting, long term mental or physical disability OR the patient's economic disadvantage. The surrogate must inform the patient to the extent possible of the proposed treatment and that someone is authorized to make the decision. The surrogate may NOT authorize sterilization or treatment for a mental disorder. the patient's religious beliefs and basic values to the extent they help in determining her best interest. If a court appoints a guardian of the person, the law and the exact terms of the court order control. Withdrawing medical care or treatment. The court must specifically authorize the guardian's decision where the medical procedure involves or could involve a substantial risk to the patient's life. This information is about the law in Maryland and may not be correct in other states. If the patient made the decision, no one has the power to override it unless they petition a court for guardianship, the court decides that the patient is not able to make those decisions, and appoints a guardian to make medical decisions for the patient. If the decision was previously expressed by the patient in a living will, a written or oral advance directive, or in health care instructions to an agent appointed in an advance directive, no one can override it unless a court appoints a guardian. If the decision was made by a "surrogate" under the Maryland Health Care Decisions Act, no one can override it unless a court appoints a guardian. If two (or more) people with EQUAL decision making power as surrogates disagree, the physician or someone qualified to be a surrogate must refer the case to the hospital or nursing home's "Patient Care Advisory Committee," and may act on the recommendation of the committee. That decision can only be overridden by a court appointed guardian, or by a court order. File a petition in court for a ruling on the decision. A spouse, domestic partner, parent, adult child, grandchild, brother, sister, or other friend or relative who has qualified as a "surrogate" can file a petition in court for a ruling on the decision.